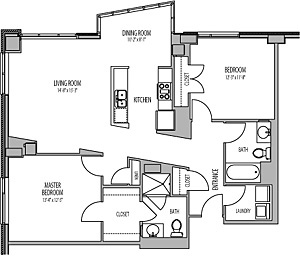 Spacious floor plan featuring a walk-in laundry room, and a huge walk-in closet in the master bedroom. One bath features a tub/shower the other a large walk-in shower. Great roommate layout.